Trusts were once considered a tool that only the mega-rich used to shovel their huge piles of money into a safe place. These days, trusts are increasingly used by all sorts of people, including older couples who want to provide ongoing support for their children or business owners who appreciate a trust’s ability to protect their assets from lawsuits and other creditors. If you are the beneficiary of a trust or own a trust and are facing divorce, does your spouse have a claim on the assets in the trust? Here’s what you need to know about how to protect your trust from divorce. Which Assets Are in the Trust? As soon as you get married, all the income and assets that you earn moving forward becomes marital property. Therefore, if you create a trust after you are married and place the marital property in the trust, your spouse will still have a claim on those assets. This is true even if you put your own income, investments, stocks, bonds, or real estate in the trust. The first step to making sure your trust is divorce-proof is to create it before you get married. This will allow you to put assets into the trust that are not marital property. Once the assets go into the trust, do not mix them with your marital property, or they could become vulnerable. For example, let’s say that you buy a home as a single woman and place it into your trust. That home is not marital property. However, if, after you are married, you and your husband both put money toward a kitchen remodel, your husband may argue that he now has a claim on the equity of the home. Perhaps you are a beneficiary of a trust created by your parents, grandparents, or another family member. The way the trust is written could affect how vulnerable your share is in your divorce negotiations. For example, if you are named as a co-trustee and/or if you are allowed to take unlimited distributions from the trust, your husband may be able to argue that you don’t need alimony. If you know that your parents or other family members are putting together a trust and planning to name you as a beneficiary, make sure they add special provisions within the trust that make it more difficult for your husband to claim that you have unrestricted access. If you can show that you can’t just take money out of the trust willy-nilly, it is more likely that a court will find that the trust assets can’t be taken into consideration for alimony purposes. Trusts are complex legal vehicles, and they can possess many different attributes depending on their purpose, how they were written, and what special provisions they contain. If you own a trust or are the beneficiary of a trust, it’s a good idea to speak with an attorney who specializes in trusts or a divorce attorney with experience in trusts before filing for divorce. Your attorney can help you understand if your trust has any vulnerabilities and guide you on the most effective ways to protect your trust assets and income during the divorce process. 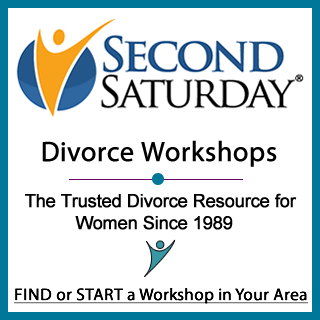 You can also learn more about the divorce process at the next Second Saturday Divorce Workshop in your area.